Among the dozens of tours being offered from Hà Nội to the northern province of Phú Thọ, tours to hear xoan folk singing has been among the best-selling for various travel agencies. The daily tour, which was officially launched in April 2018, has so far received more than 13,000 tourists. 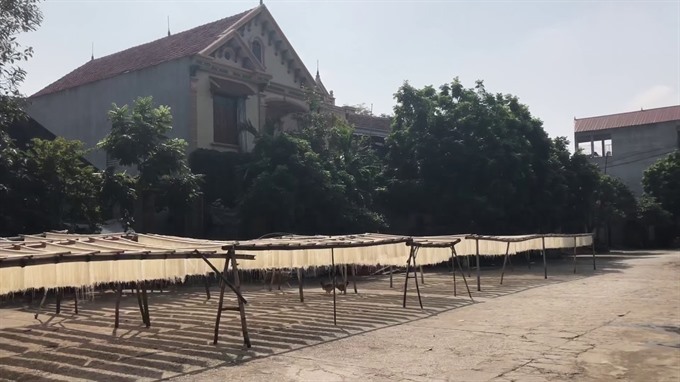 According to Phú Thọ’s Culture, Sports and Tourism Department, travel agencies have brought tourists to Phú Thọ to experience local culture and handicraft villages. On average each month, two or three groups visit Phú Thọ. Besides watching xoan singing, tourists visit temples and pagodas. 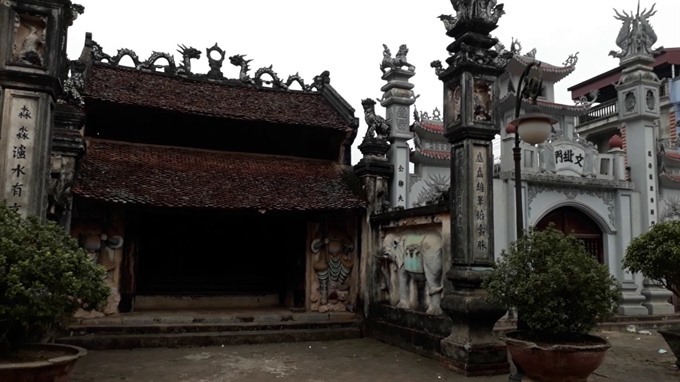 “The site includes Lãi Lèn Temple, Hùng Lô Communal House, An Thái Communal House and Kim Đái Communal House in Việt Trì City,” said Phùng Thị Hoa Lê, director of Phú Thọ Province’s Tourism Promotion Centre. Tourists visit handicraft villages and help make sticky rice square cake and round cake as initiated by Prince Lang Liêu, a son of one of the Hùng Kings. “I like to explore ancient houses in the area with historical architecture dated back to Later Lê reign (1442-1789),” said Kim Lee, a tourist from South Korea. Local authorities have organised regular singing shows at Hùng Lô Communal House between 2 and 4pm every day and at Lãi Lèn Temple at the same time on Saturdays and Sundays. 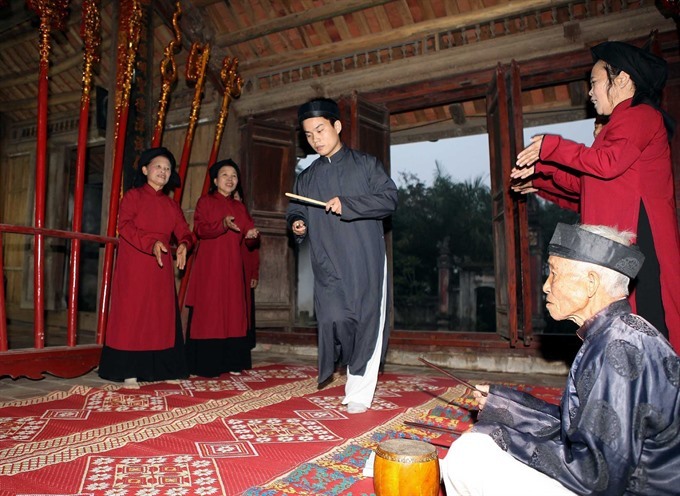 During Hùng King Temple Festival at the beginning of the third lunar month, singers will perform xoan singing every day between 8am and 4pm at the two above-mentioned locations, Lê said. Việt Trì People’s Committee has recently launched a new ‘Việt Trì City Tour’ to link xoan singing performance places with nine other destinations within the city. Tourists can visit also Gia Thanh conical hat making village in Phù Ninh District and Bợ soy sauce making village in Thanh Thủy District. Tours to the Hùng Temple site have also been combined with other relaxing places like Thanh Thủy hot spring site and Xuân Sơn National Park. Since xoan singing was added to UNESCO’s list of intangible cultural heritage of humanity in December 2017, singers in original troupes like An Thái, Thét and Kim Đái have received more attention. “Before 2017, we received many guests,” said Nguyễn Thị Lịch, head of An Thái Xoan Troupe. “After official recognition by the UNESCO, we have received even more tourists. “We welcome 2-3 tourist groups a week. Many of the tourists join our performance as well. We are very happy to entertain tourists with local folk melodies. 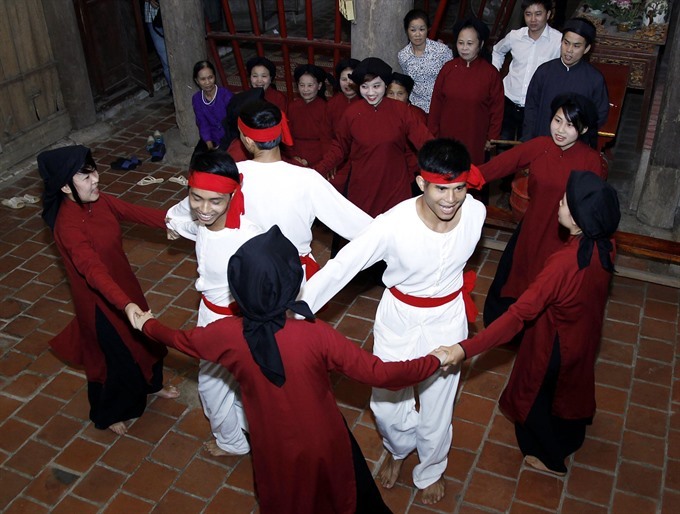 According to Nguyễn Văn Quyết, head of Kim Đái Xoan Troupe, more and more young people join the singing, not only in professional troupes but also clubs throughout the province. “We have paid special attention to preserve and develop xoan singing,” said Nguyễn Đắc Thủy, director of Phú Thọ’s Culture, Sports and Tourism Department. “Up to now, the whole ancient xoan singing places at original troupes has been improved while 20 among 30 relic sites, where xoan singing used to take place in the past, have been restored as well,” he said. Various traditional festivals that include the tradition of worshipping Hùng kings have been restored. Xoan singing has been promoted in communities. From original xoan troupes, the folk art is now practised in 13 districts and towns in the province. There are now 34 clubs gathering 1,500 members singing xoan songs. “In the next few years, we will continue to organise workshops to review values of xoan heritage and implement PR programmes in mass media to promote local tourism and folk singing,” Thủy said. The culture sector will also make documentaries on xoan singing and teach xoan at local schools. 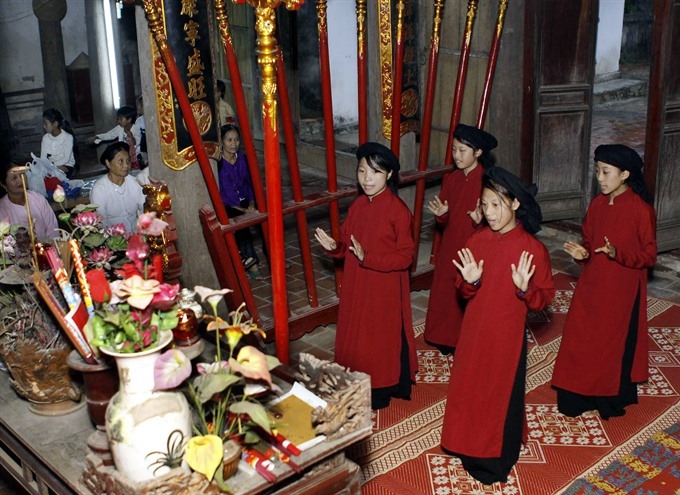 Xoan or xuân (spring) singing is practised in Phú Thọ Province, often during the first two months of the lunar year. Traditionally, singers perform songs in sacred spaces such as temples, shrines and communal houses for the spring festivals. There are three forms of xoan singing: worship singing for the Hùng kings and village guardian spirits; ritual singing for good crops, health and luck, and festival singing where villagers alternate male and female voices in a form of courtship. 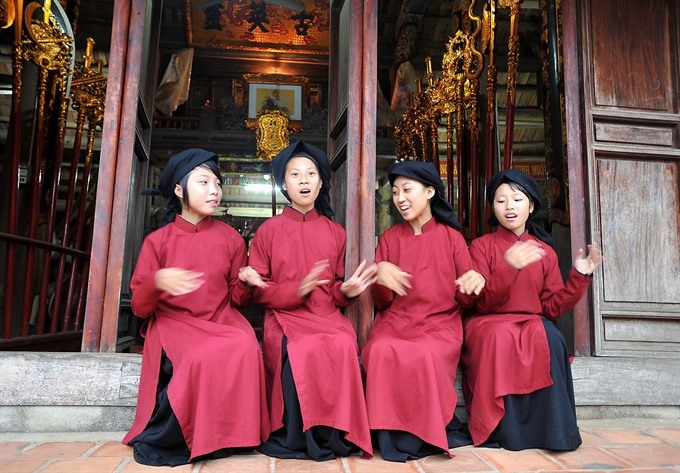 In 2011, xoan singing was listed as cultural heritage in need of urgent safeguarding by the UNESCO.